American Cruise Lines ship, American Constellation, moored overnight on two occasions at the Bremerton Marina this fall. The largest cruise ship to visit our docks! 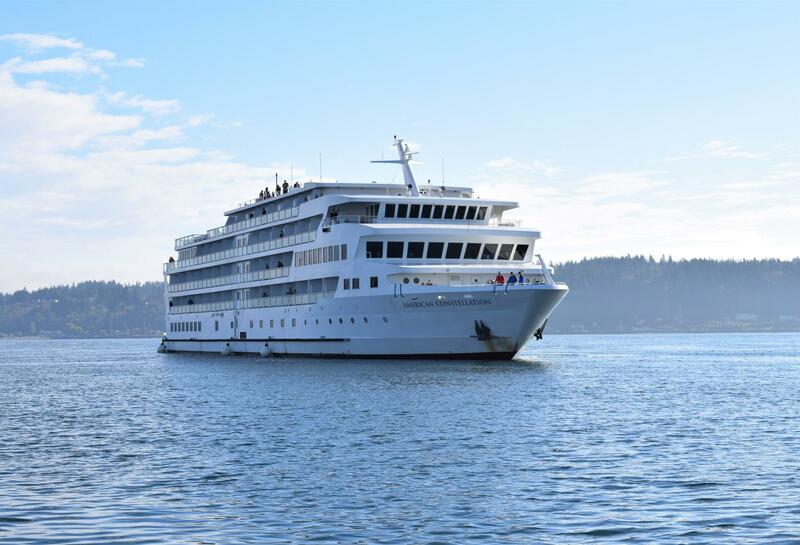 Bremerton, Washington – American Cruise Lines, American Constellation moored Saturday, September 22, at the Bremerton Marina, due to an unexpected change in their schedule. The ship was initially planned to be moored in Olympia, WA. American Cruise Lines added the Bremerton Marina stop to their 10 night Grand Puget Sound Cruise. Though short notice, crew and passengers received a warm reception and guests were able to enjoy tours of the Turner Joy, The Naval History Museum and downtown Bremerton. 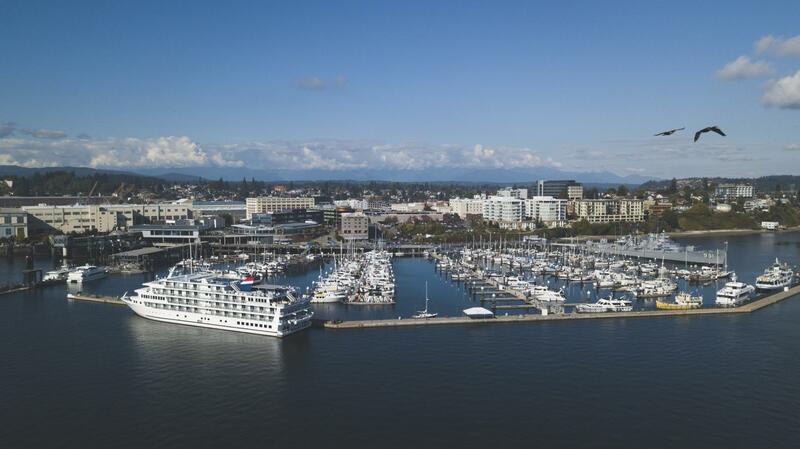 The cruise line is reviewing plans to incorporate Bremerton as a regular destination on their spring 2019 itinerary. 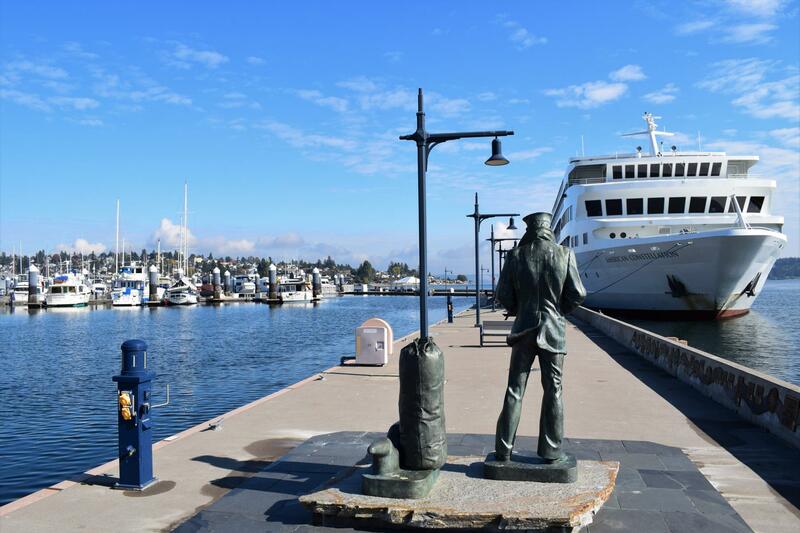 “It certainly appears the Bremerton Marina has the opportunity to be a port of call for small cruise ships touring Puget Sound. This will be good for the economy of downtown Bremerton,” commented Port Commissioner, Cary Bozeman. 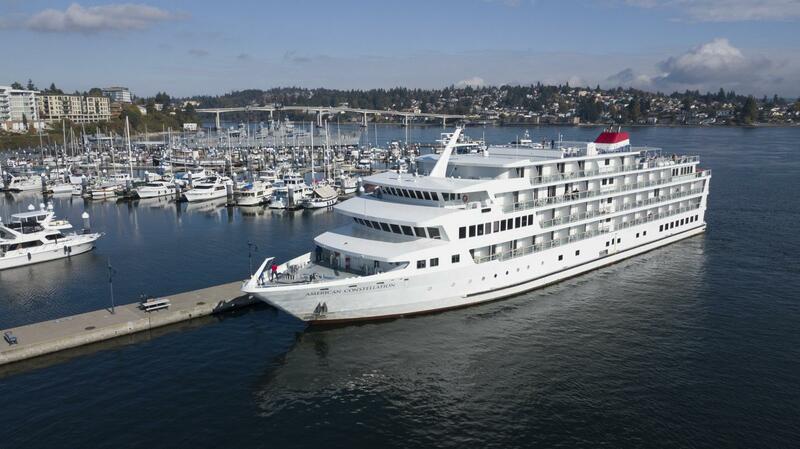 The American Constellation brought 134 passengers and 30 crew members to the Bremerton Marina on their first visit to the marina. Upon the ships return, passengers and crew were given a pleasant welcome. Bremerton Mayor Greg Wheeler, Port CEO Jim Rothlin, Port Commissioners Larry Stokes and Cary Bozeman, as well as representatives from the USS Turner Joy, were on the dock waving to passengers and greeting them as they disembarked on a sunny afternoon on Wednesday, October 10, 2018. Information was handed to passengers with details on what they could explore during their stay. For more information about this cruise ship, visit their website.